Owning a vehicle may seem like a perk, but having a car at your disposal can help you achieve your goals. But, taking out a bad credit auto loan is not always easy, especially in a big city like Tampa. Known as the Cigar City, Tampa boasts of a thriving economy and it is one of the most innovative hubs in the entire US. The City offers an array of opportunities, but you need to be flexible and move around if you want to make the most of them. At Complete Auto Loans, we help you identify reliable lenders that are more inclined to doing business with you, despite your score. We put together a vast network of lenders that understand your financial situation and are more likely to offer you a bad credit auto loan. If you are looking to take out a bad credit auto loan, chances are you also want to cut expenses. We understand that making your payments on time can be challenging, so our main goal is to help you improve your financial standing. Because of this, there are no costs or fees associated with using our products. You can use our application tool to find a reliable lender or learn more by visiting our resources center without having to worry about any additional fees or charges. There are many different aspects you have to consider before committing to a bad credit car loan. A lot of buyers, especially first-timers, tend to look at the ticket price of the vehicle. However, the total amount of the loan will give you a better idea of how much your loan will cost you. The total amount of the loan is the sum of all fees on behalf of the lender and the dealership. Another important factor you should always consider is the interest on the loan. The interest rates can be defined as the percentage of the loan you are paying on top of the original amount. The rates you receive will vary depending on your credit score, so improving your score will result in lower interests. If you are in desperate need of a car, you may have to work on improving your terms once you have taken out the loan. However, if you don’t need to purchase a car urgently, you should consider working on your score to improve your standing. This, in turn, will reduce your interest rates and the overall cost of your loan. Although there is no exact formula for improving your credit score, you can still take a few steps that usually have a positive effect. For instance, making all your payments on-time for the next three to six months often has a positive impact on your credit score. Again, if you can’t wait to purchase your vehicle, simply start by taking out a bad credit auto loan. As long as the lender allows it, you’ll be able to refinance your loan after a set number of consecutive payments are completed. This helps reduce your monthly bill while increasing your chances of paying off the loan without missing a payment. Tampa is regarded as one of the hottest cities for people in their 20s. But, truth be told, it’s an ideal destination for families of all sizes. Also known as The Big Guava, this once-sleepy town is now a vibrant metropolis full of tourist attractions. Home to three teams that play in three different professional sports leagues, Tampa has some of the most loyal supporters in the Country. 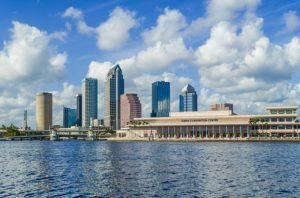 Moreover, numerous beaches, rivers, and other natural attractions scattered in the city and its surrounding areas, adding to the appeal Tampa already has. As with most of Florida, Tampa is home to an array of natural and historic attractions. In addition to this, Tampa is often ranked high on lists of best outdoor cities to live in, making it an ideal destination for families of all ages. Residents often choose to purchase vehicles that help them save fuel and take advantage of the city’s attractions in their free time. Either to achieve your professional goals or simply to enjoy your free time, purchasing a car in Tampa is a great idea. Use all the tools available at CompleteAutoLoans.com to learn more about taking out a bad credit auto loan and find a reliable lender today.